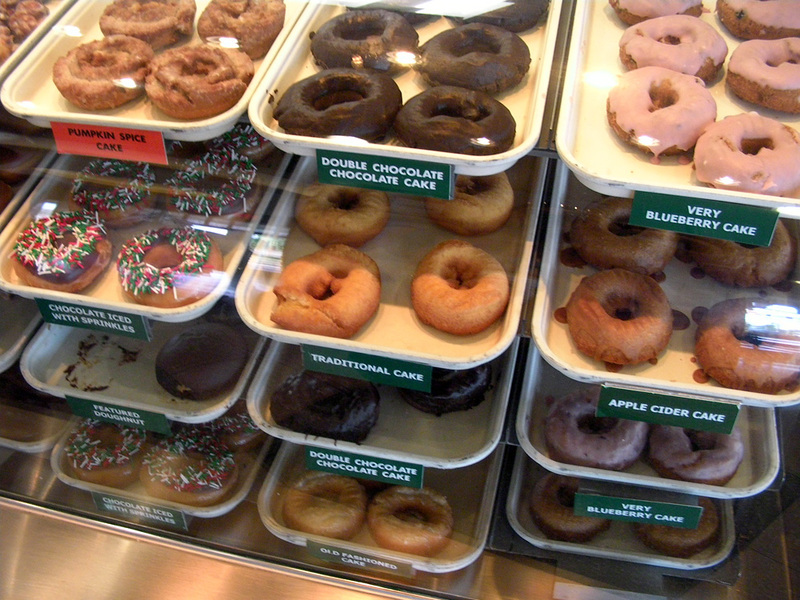 Visited Maui for the day and of course one of the first thing you see after leaving the airport is Krispy Kreme donuts. I stopped for the $0.05 cup of coffee of course. Okay, I went touristy and had a pineapple fritter. 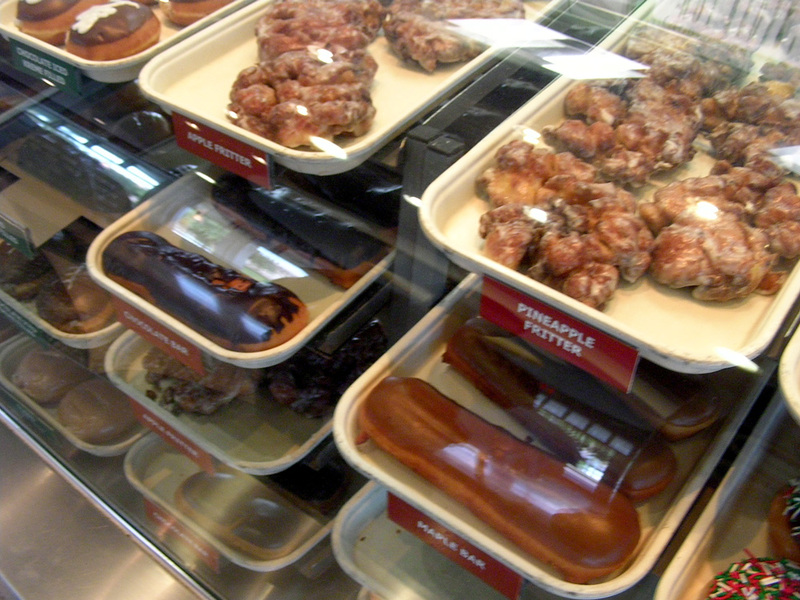 I’d have to say I prefer the apple fritter at Waikoloa Village Market which has a higher oil content. I must admit that having a cup of coffee for a nickle and free WiFi this isn’t a bad place to stop in. Take the bench seat facing the kitchen next to the window, there’s a power plug there for your laptop. For lunch I Yelped on my iPhone and found Fran’s Island Grill in Wailuku. I almost went for the chicken carbonara special but decided to try the Paukiki Chicken. 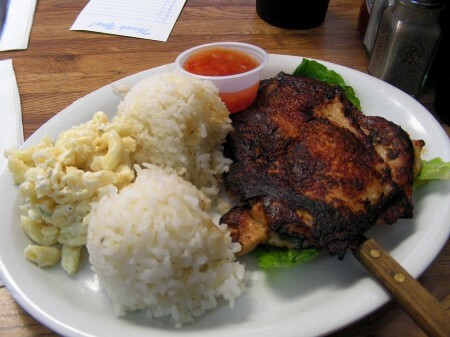 This is a marinated, lightly breaded, deep fried chicken breast with a garlic chili dipping sauce, a couple scoops of rice and one of mac salad. Good stuff, not diet food and it takes them 20 minutes to prepare. Aloha!Thanks again for driving the boys!